"Bootcamp" returns at our two mainland concessions! We keep getting questions on when our next workshops are going to be held, so here we go, finally! Two in one weekend! SATURDAY 25th OCTOBER, 1-5pm: INVIVO, 77/79 Eric Moore Road, off Bode Thomas, Surulere, Lagos. 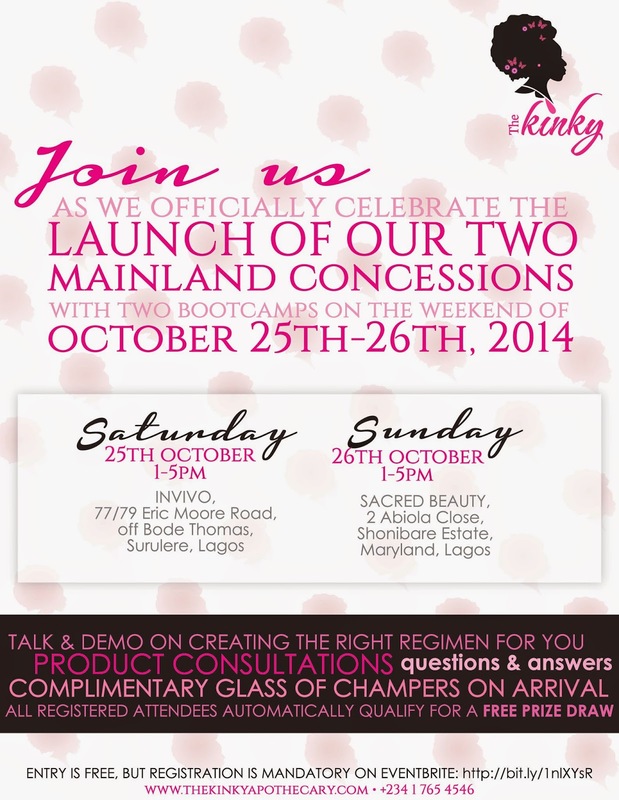 SUNDAY 26th OCTOBER, 1-5pm: SACRED BEAUTY, 2 Abiola Close, Shonibare Estate, Maryland, Lagos. All registered attendees automatically qualify for a free prize draw.